The Blenheim Lead Crystal high ball glass is a traditional design with diamond cut detail. It has an area that can be engraved with any wording, logo or crest. 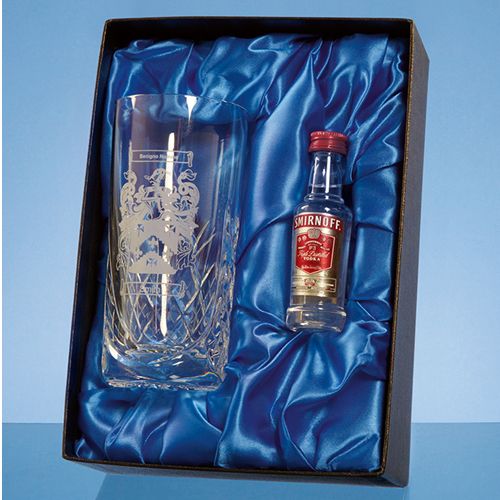 The glass and miniature bottle of Vodka come in a satin lined presentation box making it an ideal personal gift that will be treasured and enjoyed by the recipient.